Bernard O’Sullivan ABIPP, has been a qualified commercial photographer for over thirty years. During that time he has won over fifty major professional photographic awards plus fifty smaller awards. In 1991 he founded Inside Out Photography a commercial photography studio based in Chorlton, Manchester, serving industrial, corporate and architectural clients. 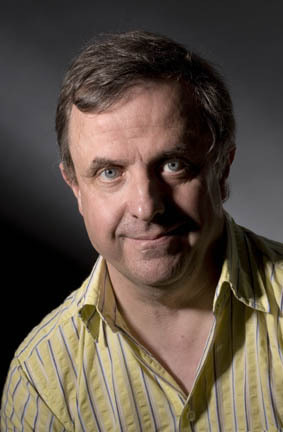 Bernard O’Sullivan is also currently chairman of the British Institute of Professional Photographers, North West region. Commissioning photography - How do you select a professional photographer? Anyone earning his or her living as a photographer is by definition, a professional! Unfortunately it is all too easy for someone with no professional experience or qualifications, to promote themselves as a professional photographer. Below you will find guidelines based on thirty years experience, to ensure your photography project runs smoothly. A cheaper quote for your photography project may seem appealing, but is it worth the risk? Choosing the wrong photographer could end up costing you a lot more! Tip 1 - Are they qualified and does it matter? Yes, it can matter. A professional qualification is a guide to quality and level of skill. One indicator is whether a photographer holds any professional qualifications and is a member of a recognised professional body. At the bottom of this blog, I have listed the two main UK bodies that assess standards and grade professional membership. Tip 2 - Have they experience of working in your field of business? It obviously makes sense to select someone with proven knowledge of your particular area of business. Choose a photographer who can show you examples of similar commissions. If they are experienced they are likely to anticipate your needs and answer your questions before they are asked. Tip 3 - How long should a job take, and what is a fair price? It depends on the quality of the finished product you are looking for. To use a food analogy, you can budget for a high-street burger or for a three-course restaurant meal. Quality takes not just experience and skill, but also time. A five-minute burger from a Michelin star chef is likely to be wonderful quality, but it will not be the same experience as a three-course meal the same Chef has taken forty minutes preparing. So try to be realistic, if someone is telling you that a shoot will take a matter of hours, while others are quoting a couple of days. Alarm bells should be ringing! Tip 4 - What equipment do they use, and does it matter? Naturally all photographers have personal equipment preferences. However certain subjects DO require sophisticated lighting techniques, using a myriad of light shaping accessories. These are essential to make your products and business come alive. It is not acceptable to turn up to a shoot at a high tech factory with just the built-in camera flash. It will not help to represent your company at its best. Tip 5 - Getting a quote and sticking to it? No matter what you are buying, some people will be tempted to give you a very attractive low price, and then once you are half way through the project and therefore committed, load the invoice with ‘extras’. You should always be supplied with a written quote. This must clearly outline exactly what you will get based on the information you have provided. If during the course of a project, extra opportunities for further photography not included in the original quote present themselves, you should be informed of additional costs before the photography proceeds. So, if a quote seems ‘too good to be true’ then your instincts are likely to be accurate. While they are working for you, possibly at a third party client’s premises, photographers represent not only their own company, but also you the commissioning client. It is important that they conduct themselves accordingly; they should also keep you informed regarding the progress of a project with appropriately regular updates. Tip 7 – Do they have appropriate insurance, protecting all parties! We all know that it is a legal requirement under UK law, for anyone in business to take out Public Liability insurance. In addition, it is also wise to ensure that your chosen photographer has ‘Professional Indemnity Insurance’. This protects all parties in the event of you, the client, incurring expenses as a result of non-completion of the project, etc. Don’t assume all photographers will have this important cover. If you have doubts, ask for proof! Tip 8 – Copyright, be sure of ownership of images! Some photographers may exercise their legal rights as the ‘author’ of an image to impose what is called an ‘image use licence’. This can legally restrict how, where, and for how long their work is used by clients. It is important to clarify these copyright issues before you commission any photography. Tip 9 – Keeping your images safe for the future! We all know that fires, burglaries and accidents happen, computers go wrong and important images and information can be lost. Be sure that the images you have commissioned and paid for, are safe on multiple external hard drives and on filed DVDs. Ask your photographer about their ‘backing up’ policy. Remember, your image is your future: trust it to a true professional!